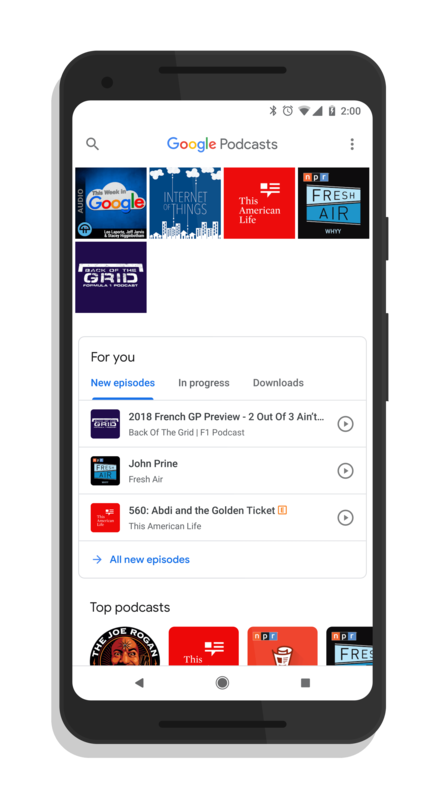 After several leaks and some speculation, Google pulled back the covers on their latest app, Google Podcasts. 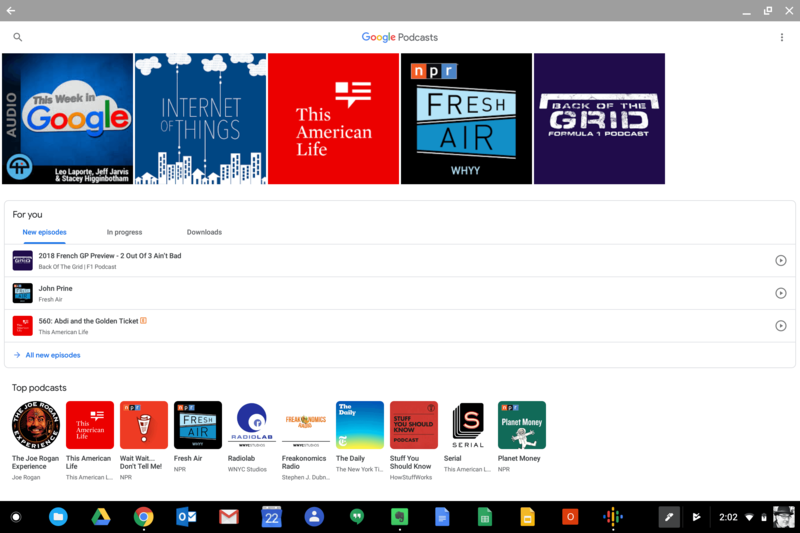 The app has an index of some 2 million podcasts for you to listen to on your Android device – and it works great on a Chromebook too. The app is fully supported by Google Assistant, allowing you to begin listening to a podcast on your phone then finish it up at home on your Google Home. Further, thanks to Google’s AI, recommendations are given to you based on your listening habits. The app itself is a bright and beautiful example of Material Design with your subscribed podcasts at the top of the page, episodes to be listened to, in progress, or heard in a section below, following by multiple carousels of content based on genre or topic. You can of course stream the content while you are connected to WiFi but if you want to have it to listen to later, you can do so by downloading it to your phone. Once you listen to the podcast, it will be deleted from Google Podcasts automatically after 24 hours. Podcasts also sync seamlessly across your multiple devices and the UI adapts wonderfully to a Chromebook. The app is free and you can download it from the Play Store. It is available globally.